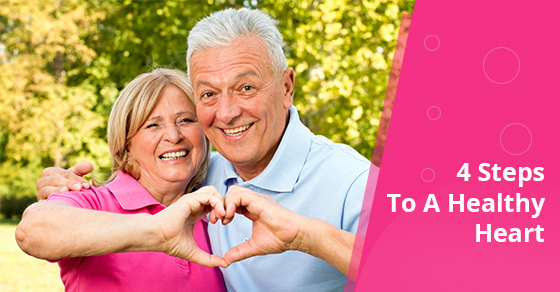 Heart health is critical to your long-term wellness, performance, and vitality. Your heart requires adequate nutrition and exercise in order to stay functional and disease-free. Making small changes to your daily habits leads to significant results in the long run. The following are 4 things you can do to keep your heart healthy. Keep your blood pressure in check High blood pressure can lead to damage to the walls of the artery. Scar tissues can build up, making it difficult for the heart to receive oxygen and other nutrients from the blood. As a result, the heart muscle must contract more forcefully to deliver adequate blood supply to the body. Over time, this can wear out the heart. Also, reduced oxygen supply can lead to more serious complications. Have your doctor monitor your blood pressure over time. This simple step can help you maintain a healthy blood pressure over time and keep your heart working at an optimal level. Get moving Exercise is one of the most important ways to maintain a healthy heart. It’s generally recommended that you exercise for at least 30 minutes a day. This can include a variety of activities such as stretching, strength training, cardiovascular exercise, yoga, and others. More people are spending an increasing amount of time sitting in front of computers. This can lead to impacts on their health and wellbeing. Take time to get up from your desk and take a break. Clean up your diet Nutrition is the foundation for good health. The right foods that meet your metabolic needs allow the body’s systems to work accordingly and keep heart disease at bay. You can reduce the intake of alcohol and high-salt foods while eating more vegetables, fruits, and healthy sources of protein. A clean diet that’s free of additives, preservatives, and toxins will support your heart health. Avoid drinking your calories, and choose whole-food sources of vitamins and minerals instead. Green leafy vegetables and bright colored fruits are excellent sources of the nutrients needed to keep you healthy. Quit smoking Although most people are aware of the health risks associated with smoking, it remains one of the biggest factors that can impact your heart health and lead to secondary health problems. Many people are reducing the frequency of smoking cigarettes through the use of electronic cigarettes, gums, patches, and other strategies. Quitting smoking, eating healthy, and implementing a regular exercise program are the keys to keeping your heart healthy. This ensures a higher level of vitality and a lasting ability to maintain your current physical activities.